While LG's mid-range LM660 TVs have generally impressed this year, its flagship LM960V Nano televisions were a letdown. So it's with a degree of uncertainty that we find ourselves today faced with a TV from the LM860V series that sits just one step below the LM960V flagships. The LG 47LM860V gets off to a cracking start, though, by boasting one of the prettiest designs the TV world has ever delivered. Its frame is outlandishly thin and finished in an endlessly stroke-able metallic finish, while its distinctive 'Floating Metal Wing' stand design is ultra cute, too. Spec-wise, the LG 47LM860V is also clearly anything but a basic model. For instance, it can play just about every multimedia file format under the sun, either via a networked DLNA PC or USB storage device. It's also got a vast network of online services, courtesy of LG's latest smart TV engine, while pictures are served via LG's 800 MCI (Motion Control Index) processing. This will hopefully prove handy in fighting the sort of motion blurring problems witnessed on a few LG TVs this year. The edge LED lighting system responsible for the LG 47LM860V's pictures, meanwhile, benefits from a local dimming system where sectors of the lighting can have their light levels adjusted individually, to boost contrast. This being an LG LCD TV, the LG 47LM860V also employs the brand's passive 3D technology, and ships with five sets of 3D glasses (more details on these on the Features page). Another standout feature of the LG 47LM860V is its provision of a second remote control. This so-called 'Magic' remote can be used to point directly at options on the screen, Nintendo Wii-style, and provides a welcome alternative to the standard remote control. As mentioned already, if you're feeling really flush you could step up from the LG LM860V to LG's LM960V range, which use LG's direct (rather than edge) LED lighting system. Further down still you get to the LG LM660T series of TVs, which ditch the extra remote control and reduce the picture processing power, but still look great and offer a terrific high-value proposition. 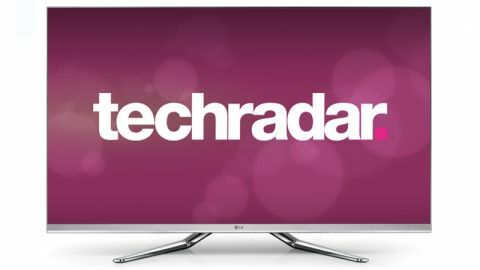 Now, though, let's get back to the job of finding out if the LG 47LM860V is worthy of its premium status in LG's range.